Plain View Press, LLC, 9781632100146, 226pp. Spanning three generations of women in a family with distressful father-daughter relationships, this story reflects on how one's father affects later choices in life and on the struggle to resolve childhood issues. 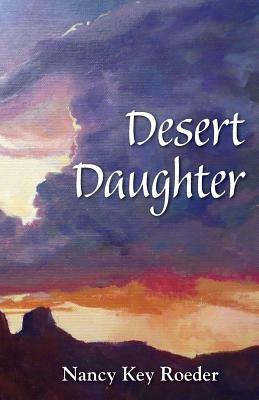 "Desert Daughter is a unique and vividly descriptive novel about daughters who have been 'invisible' or neglected by their fathers and how that affects their ensuing relationships with men as well as their own creativity. Nancy Roeder's luminous descriptions of nature are contrasted with the subtlety of wounds that are often ignored as 'normal' occurrences, but which leave women passive and unable to own their worth. This book offers deep insight for anyone (men included) who has dealt with father-daughter issues, and it shows how women can transform, reclaim their strength and bloom."